You know what I'm thinking? I had a great weekend. Many things come to my mind. First of all, I think of those soldiers that definitely deserve our respect. I immediately think my father. He was a soldier at Corea many years ago. My father died when I was 10 and it is one of those things you remember everyday at some point. Then I naturally think of Father's Day coming up soon. So I made this card. 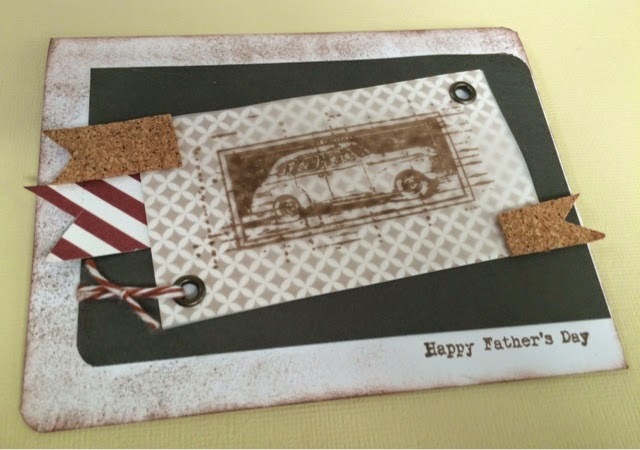 Have you started making Father's Day cards or projects yet? I used Unity Stamp Co stamps, Teresa Collins paper, bakers twine, cork, and eyelets.